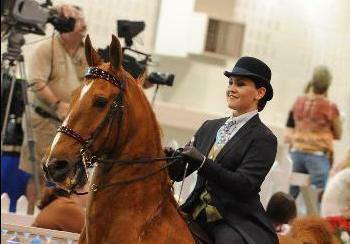 BIG NEWS: The All American Horse Classic Horse Show is September 6th thru the 10th at the Indiana State Fairgrounds. There will be no Academy classes at this show, however, Saturday morning is a ‘kids morning’ at the show. All kids are welcome to decorate a stick horse and participate in the stick horse class. Lots of great fun on Saturday Morning including the UPHA Pleasure Challenge Cup Finals – very talented riders and they make it look easy. Our own Hannah (two time UPHA Challenge Cup top 10 finalist – yes I’m bragging) and her show horse Butch (I’m Big-N-Rich) will be competing Wednesday and Friday mornings. They are a blast to watch! The schedule highlights when she is riding. Come out to this great event and show your support for all our riders.